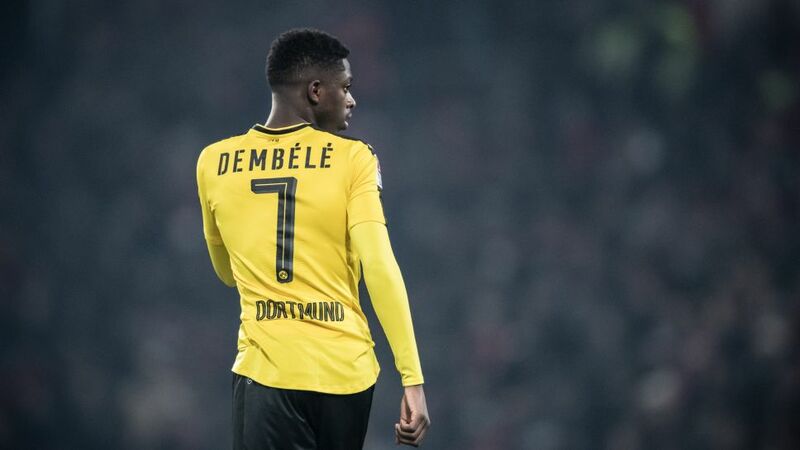 Like Stan Libuda, Stefan Reuter and Shinji Kagawa before him, Ousmane Dembele is already wearing the Dortmund No7 shirt with distinction. A summer arrival from Stade Rennais FC, 19-year-old France winger Ousmane Dembele has adapted to Bundesliga life quickly, and is already a key player for Borussia Dortmund. If Dembele only played the final half-hour of BVB's 2-1 loss to SV Darmstadt 98, it was not simply to rest the prodigal forward for the UEFA Champions League clash against SL Benfica the following Tuesday evening. Indeed, coach Thomas Tuchel had little choice. Between the DFB Cup victory over Hertha Berlin on the Wednesday and the Darmstadt game, Dembele didn't train. Instead, he was absent for two days to attend his grandfather's funeral in Normandy. Having become a key player in the eyes of the Dortmund tactician, he was part of the matchday squad against the Lilies, and even entered the fray 15 minutes sooner than FIFA World Cup winner Andre Schürrle. Alongside protagonists such as Pierre-Emerick Aubameyang, Julian Weigl and Sokratis Papastathopoulos, Dembele has become one of Tuchel’s go-to guys - with his 20th birthday still some three months away. Dembele’s statistics are impressive. He has six goals and ten assists from his 23 Bundesliga games to date, and has taken on and beaten more players than anybody else in the Dortmund squad. When BVB general manager Hans-Joachim Watzke beams that “I’ve never seen such a talented player before," it is not difficult to understand why. There might be room for improvement in terms of ball-retention and decision-making yet, but Dembele is not impervious to self-criticism. Despite his relative lack of experience, Dembele is already accepting responsibility. His understanding with fellow Francophone Aubameyang is already bearing fruit, with Dembele having provided seven assists in all competitions for the Bundesliga’s top scorer. Dembele is not the first French winger to have lit up the Bundesliga. FC Bayern München star Franck Ribery boasts a French record seven Bundesliga titles, as well as a Champions League triumph from 2013. Click here to vote for Dembele as your #BLRookie of the Month! Head this way for the Benfica-Dortmund Champions League live blog!